Rod Stewart will be touring the UK for the first time in three years during 2019. The legendary rocker will perform live at Glasgow's SSE Hydro on 26th, 28th and 30th November as part of the Rod Stewart Live In Concert Tour. 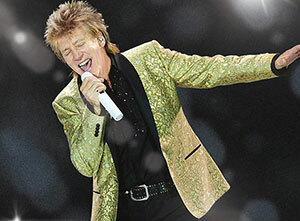 Tickets to see Rod Stewart live on tour at the SSE Hydro initially went on general sale on Friday 30th November, priced from £55 plus booking fees. Tickets for the extra date (26th Nov) went on general sale on Friday 22nd March.